What is the Binghamton University Scholars Program? How do I apply to the Binghamton University Scholars Program? I got a letter inviting me to be a Binghamton University Scholar. What now? I didn't get an invitation to be a Binghamton University Scholar. What are some other ways to get involved on campus? Will having been in the Binghamton University Scholars Program benefit me after graduation? How much do high school GPA and test scores affect acceptance into the Binghamton University Scholars Program? Will I receive any additional financial aid for being in the Binghamton University Scholars Program? What are the benefits of being a Binghamton University Scholar? Is the Binghamton University Scholars Program for students in a specific major? What is the profile of a typical incoming Binghamton University Scholar? Is there a way to meet other Binghamton University Scholars before getting to campus? Can I complete the Binghamton University Scholars Program requirements along with a minor or double major? Will Binghamton University Scholars courses be more difficult than my other courses? Can Binghamton University Scholars study abroad? Can I be involved in sports or clubs if I am in the Binghamton University Scholars Program? Is there more to the program than academics? Is there special housing for Binghamton University Scholars? Do I have to live in the Binghamton University Scholars Learning Community? I took AP classes/IB classes/classes for college credit when I was in high school. Will I be able to use any of those credits at Binghamton University? What is the Binghamton University Scholars Council? Where can I find out more information about the Binghamton University Scholars Program? The Binghamton University Scholars Program is a selective, four-year honors program for students of exceptional merit at Binghamton University. The program is rapidly expanding and includes academic expectations, extracurricular activities and community involvement. Students become part of the Binghamton University Scholars Program by invitation only. Invitations are sent beginning in January of each year and priority is given to those who apply Early Action. Congratulations! Look around our website to find out more information about the Binghamton University Scholars Program. To accept your invitation, follow the instructions on the letter you received. I didn't get an invitation to be a Binghamton University Scholar. What are other ways to get involved on campus? Binghamton University is a scholars' university and offers a wide variety of opportunities for high achieving students to gain academic recognition and academic challenge. There are departmental honors and honors societies in many majors, we are a Phi Beta Kappa university, there are opportunities for research at the undergraduate level and even to assist with instruction in some classes. Binghamton also provides opportunities for undergraduate research, civic engagement, study abroad, and a host of other programs. Joining student groups is a great first-step to getting involved. There are also many opportunities for students to get involved in undergraduate research, apply for jobs and internships, study abroad and get involved in community service. All students are evaluated based on the strength of their application as a whole. There are several factors considered when inviting applicants to the Binghamton University Scholars Program, including but not limited to GPA and test scores. Yes. When you graduate from the Binghamton University Scholars Program, you will have graduated with either President's Honors or All-University Honors (depending on GPA) which is a mark of excellence to any future graduate school or employer. You will have made deeper connections with students, faculty, administrators, and alumni who can assist you moving forward after graduation. No. There is no financial component to the Binghamton University Scholars Program. However, many Binghamton University Scholars apply for and receive scholarships through Financial Aid Services. Some of the benefits are: housing priority in the freshman year, priority registration for classes, small classes that are limited to Binghamton University Scholars and meet General Education requirements, and project-centered courses with opportunities to work closely with faculty members. For more information on the benefits of being a Binghamton University Scholar, see the Binghamton University Scholars Student Handbook. The Binghamton University Scholars Program invites students from all majors. The Binghamton University Scholars Program curriculum is designed to enhance your undergraduate experience, no matter what you are studying. The only exception is for students accepted into the School of Management, which has its own program called the Price Waterhouse Coopers Scholars Program. Incoming Binghamton University Scholars are selected from among the top admitted students applying that year. They are typically highly motivated students who are interested in a wide variety of academic and extra-curricular activities, including community service. In recent years candidates had GPAs beginning in the mid 90s and SAT scores beginning in the mid 1400s. Yes! If you choose to accept your invitation to join the Binghamton University Scholars Program, you will be introduced to other Binghamton University Scholars in many ways. When you attend orientation, you will have sessions with other Scholars where you get to learn more about the program. If you have a Facebook account, you will also receive an invitation to join the other freshmen Binghamton University Scholars, as well as some upperclassmen mentors, who will be available to answer any questions you may have. In order to graduate as a Binghamton University Scholar, students must complete a freshman experience course, a service-learning course, two Binghamton University Scholars Program seminars, a junior-year experience and a senior-year project. Scholars must also maintain a 3.25 GPA and abide by the Binghamton University Code of Student Conduct, the student conduct code of Binghamton University. More information on the requirements can be found in the handbook. Can I complete the Binghamton University Scholars Program requirements and a minor or double major, as well? Yes. In fact, Binghamton University Scholars are encouraged to broaden their horizons through the completion of minors, double majors, dual degrees and fast-track master's degree programs. More information on these programs can be found here. Binghamton University Scholars Program courses are not intended to be more difficult than other classes, but are designed to challenge Binghamton University Scholars to think critically and independently. These courses supplement a Binghamton University Scholar's learning experience. They are not intended to be a hurdle to the success of the student. Yes! Binghamton University Scholars are encouraged to study abroad. More information can be found at the Office of International Programs. Yes! Binghamton University Scholars are some of the most involved students on campus. They serve as resident assistants, presidents of clubs, athletes on intramural, club and varsity athletic teams, community service coordinators and much more. Yes. The Binghamton University Scholars Council works hard to provide Binghamton University Scholars with a wide array of academic, social and community events. To see what kind of events we do, check out our Year in the Life of a Scholar and our photo gallery. Yes. There is a Binghamton University Scholars Program Learning Community located in Newing College. Freshmen are guaranteed to live in Newing College if they accept their invitation to become a Binghamton University Scholar. 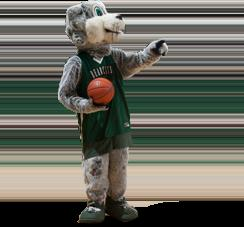 All freshmen are required to live in the Binghamton University Scholars Learning Community. By permission of the Executive Director, exceptions will be made for students requiring break housing (i.e. international or out of state students) or choosing to live in the Engineering or Nursing Learning Communities. Upperclassmen are not required to live in the Scholars Learning Community, but they are encouraged to do so. I took AP classes/IB classes/class for college credit when I was in high school. Will I be able to use any of those credits at Binghamton University? These credits will not count towards the completion of your Binghamton University Scholars Program requirements. However, depending on your major and which school you are in, these credits can generally be applied to the completion of your general education requirements. We encourage you to find out more information about how credits transfer into the Harpur College of Arts and Sciences (IB and AP ), the Thomas J. Watson School of Engineering and Applied Science, the Decker School of Nursing and the College of Community and Public Affairs. The Scholars Council is the student voice of the Binghamton University Scholars Program. This group works closely with the Executive Director of the Binghamton University Scholars Program and with the students to plan events, discuss issues relating to the Binghamton University Scholars program and more. Scholars Council is a great way to get more involved with the Binghamton University Scholars Community. If you have any questions, feel free to e-mail Katherine Bouman, Scholars Program Associate Director at ksbouman@binghamton.edu. Also, check out our Facebook and Twitter accounts, which provide a great overview of what current Binghamton University Scholars are engaged in.